The conceptual framework of the 4th edition of International Çanakkale Biennial that will be held in the autumn of 2014, is structured around the topic “1914-1918 – The Centenary of the World War 1”. The concept of the 4th International Çanakkale Biennial would like to examine and interpret the political, social, and cultural events and effects of the World War 1 (WW1) still perceivable today, via contemporary art creations. It will also propose to correlate those interpretations to the historical, cultural and natural context of the city: Çanakkale is characterised by the marks of a long history of wars starting from the Trojan War up until the Gallipoli Campaign that took place in the first years of the WW1, causing the death of almost half a million person. 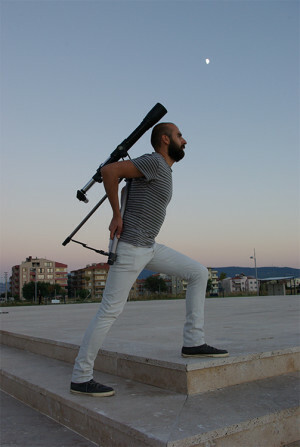 Thus the 4th International Çanakkale Biennial will aim at providing the city and its citizens new perspectives and a critical distance toward this dominant identity of being a city of wars, while further reinforcing the motto “let peace be our culture” shared by the city’s prominent civil society and the local public authorities. Many activities and events are planned for the centenary, by the countries that have participated to or effected by the WW1; thus International Çanakkale Biennial anticipates attracting a broader attention from the international community, and aims at generating important intellectual and informative outcomes. Parallel programming such as documentary activities, events on different art disciplines and collateral exhibitions are being planned in collaboration of foreign cultural centres, and many national and international institutions. Collaborations and cooperation are being cultivated in order to establish a communication platform with all the relevant countries trough the biennial, and to enable the revaluation of the impacts of the modern wars in the historical Ottoman geography and the political constellation of today’s world. The 4th International Çanakkale Biennial will be conceived in consideration of the 100th year of WW1 and will focus on the contemporary visual interpretation of this human tragedy and its political, economic, social and cultural consequences. This date is also indicating the fall of the Ottoman Empire, Austro-Hungarian and the Russian Empire, which has radically changed the map of Europe and Asia and opened a new era which created a polarized world in 20th century. on the after effects of the fact that during these 100 years the people of these countries had to submit to a polarized world and had to adjust themselves into an opposite system called globalized world. 4th International Çanakkale Biennial will again use historically and socially meaningful spaces and venues such as old Armenian Church, Korfmann Library, Er Bath (Ceramic Museum), Çimenlik Castle, Archaeological Museum, Jewish (Acorn) Depots, and the public spaces (The Bazaar Street, Waterfront and the Port area, Public park…).